There is more than one artist with the name Kalm. 1:. 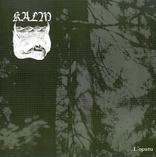 KALM is estonian Pagan/Black metal band. KALM began it's journey as a single man's (Alan) art-output which showed the rage and anger of heathen loneliness in it's roughest way. Alan managed to release 4 demos by himself, but for gigs He needed some assistance. Eku (drums) was the first choise because KALM wouldn't have sounded "KALMly" any other way ... and naturally 'cause of the elder fellowship. Since 1999 the rehearsals were delivered 4some already although the arrangements and music came from Alan's deepest minds. 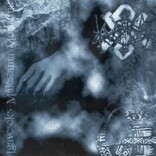 In 2000 KALM released a split-CD with Assamalla which remained the last movement for the band. Alan died accidently in a car-crash. R.I.P. 2:. 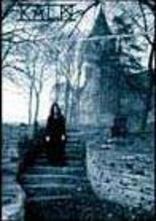 Kalm was also the keyboardist for the dark wave Japanese band Velvet Eden, along with vocalist Dada (ex-E-Typ. He left the band in 2000. Since then he's been making music for other artist, helping them with their career. Most recently, he has been responsible for the music of ex-Schwarz Stein's Vocalist, Kaya. He helped launch Kaya's career with the release of his first single, and has provided the music for everyone of his singles so far along with 3 track in Kaya's first full length album. There is known to be a rip of one Kalm's demo tapes he made before joining Velvet Eden. 3. Kalm aka Kristjan Kalm issued his debut under Umblu Records together with fellow labelmate Tallinn 73 in spring 2002. Their split-CD Autopiloot worked on various jazz themes from broken beat to 50s cool jazz and 60s psychedelic pop, claiming significant critical acclaim.“People tend to think that the technology can save them or be a substitute for great songwriting, which it’s not,” he says. “It’s really hard to write a song on the computer - some people manage it - but in most cases its outright boring and static. You can turn all your knobs but it just does not excite. And it is really hard for me to imagine somebody sitting behind the computer or a mixing desk, all of a sudden being hit by great ideas one after another. That’s why a significant mass of contemporary dance music is what it is - professional and boring.” In October 2004 he released his first solo effort Generalissimus Kalm, which went on to win “Best Electronica Release” at Estonian Music Awards in 2005. The record was less jazzy and more lo-fi featuring influences form country, punk rock and hip-hop.